We resume normal broadcasting capabilities (sort of, as I still haven’t done a new show since February) with another hour long selection from the Tokyo-based Raid System duo of XLII and Broken Haze. Riding high from the recent release of his Neon High EP (see what I did there?) on Civil Music, the pair have put together a heavy selection featuring plenty of music from the EP as well as a tribute to the recently deceased Beastie Boy MCA and new and recent work from the likes of Krampfafht, Bobby Tank, Ill Blu, Funkystepz, Keyboard Kid, Moresounds, EAN and more. As always the show is divided into four selections – two each from XLII and Broken Haze – and can be streamed and/or downloaded below. Or simply subscribe to our RSS/iTunes feeds and receive all the shows directly to your computer/player. 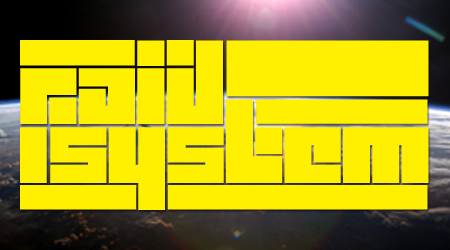 We’ll return in the next couple weeks with shows from Primus Luta and my latest instalment for our BLN.FM residency. Oh there are more guest mixes to come too, so keep your ears and eyes open over the coming months. For now enjoy and bump loud! This entry was posted on Tuesday, June 5th, 2012 at 4:28 pm. It is filed under Podcasts, Presented by Raid System and tagged with Lone, Beastie Boys, XLII, Broken Haze, EAN, Battles, Funkystepz, Moresounds, Bobby Tank, Krampfhaft, Dub Phizix, Deeco, Ill Blu, NKC, Urban Knights, T. Williams, Montgomery Clunk, Keyboard Kid. You can follow any responses to this entry through the RSS 2.0 feed.